The Village Coconut Island enjoys a unique location on a private island off Phuket's east coast at approximately 15 minutes' ride via private water taxi from Royal Phuket Marina, which means guests will easily access mainland. The hotel boasts extraordinary private villas with spacious gardening with pool facing the sea. The villas guarantee their guests privacy and come fully furnished to the highest standards. The hotel boasts all the facilities guests' expect from a luxury villa resort as it aims to provide a true tropical paradise experience in the comforts of a private villa. 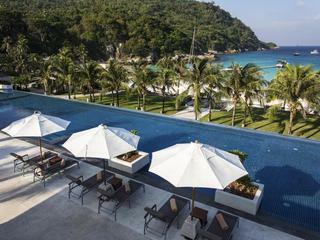 Coral Island Resort is located away from the east coast of Phuket for approximately 9 km in Koh Hae. 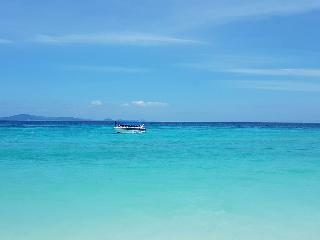 The Hae island is bounded by unspoiled coral reefs, consequently the name of the resort “ Coral Island “. This island joint in two long stretches of white, sandy beach on one side, a few quiet bays on the other. With an easily access in just15 minutes by speedboat from Phuket pier make this island known as paradise holiday destination.Discovering a remote, perfect, untouched island escape at Coral Island Resort where A perfect combination of peaceful bay with a gorgeous beach and well designed resort are created for your excellent hideaway.Coral Island Resort "Perfect place to relax and get away from it all." 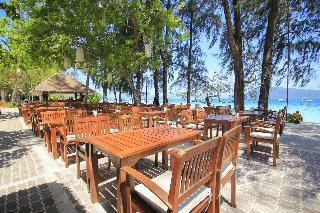 Situated 9 km off the south east coast of Phuket. 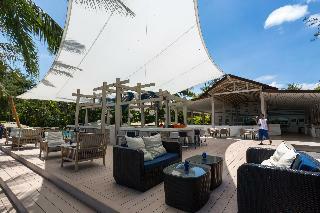 The island is surrounded by colorful coral reefs, hence the name Coral Island Resort. The island has two long stretches of white, sandy beach on one side, and a few quiet bays on the other. Coral Island is outstanding, and comes closer than most to fulfilling that seductive mental image, we all seen to have of discovering a remote, perfect, untouched island escape, where the sand is pure and white, the water translucent, the sunsets religiously inspiring and the crowds for away.Only 15 minutes by speedboat or 30 minutes by ferry from Phuket, there's total seclusion in this lovely resort. A short trek over the small hill and rocks will lead you to a small, quiet cove with a beautiful beach. An excellent hideaway during the day. Fishing and a sunset sailing cruise can also be arranged. Watersports are available on the beach. Diving and instruction is available in English, Japanese, Chinese and Thai. Location on the best beach of the island. Very good room facilities and size. Very good value for money. I would definitely recommend it.